The then- CEO Rose Marie Bravo hired the 29-year-old scruffy haired boy from Yorkshire as design director. He just had merely 4 assistants to help him. Grew up in Halifax, the area where the iconic Burberry trenches were manufactured and purchased his first one in a jumble sale as a teenager. Hand plucked by Donna Karen at his graduation show at the Royal College of Art in London, he was flown across the Atlantic in 1994 for his first job in New York. A few years later he joined Tom Ford at Gucci where he witnessed the explosion that the Italian brand had at the end of the 90s. The risk Bravo made certainly paid off. With British heritage at the heart of Burberry, Bailey never forgot the ethos. References to artist David Hockney, Notting Hill’s Portobello, classic “Welly” boots, rock’n’roll and the royals are among the many sources of home inspiration that threaded through collections over the past 21 years. 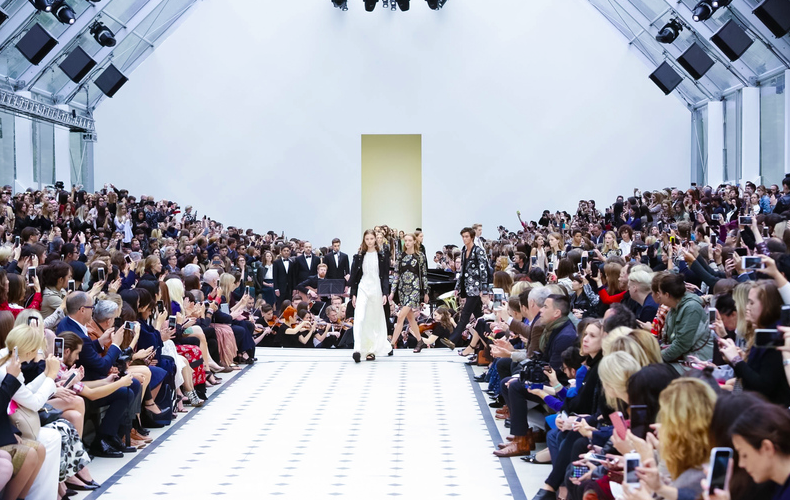 Media has always played a key role in Bailey’s Burberry. He utilised music, film, live- streaming his shows but most famously, changed the way fashion worked with his application of the ‘see-now-buy-now’ format in 2016. This makes the process quick. No wait. He combined the men’s and women’s show during London Fashion Week, and restrained to only two shows in February and September. The multimedia approach was kick started in 2009, when Burberry moved to Horseferry House. Having a passion for technology and interest in its innovation for the brand, Bailey hired coders and people from tech companies to help with shooting and uploading new products from the studios to the website. As mentioned before, Bailey was born into a working- class family. An experience that stuck with him, was his humiliation at a luxury store as a teenager, having saved his money up to buy his sister a watch. 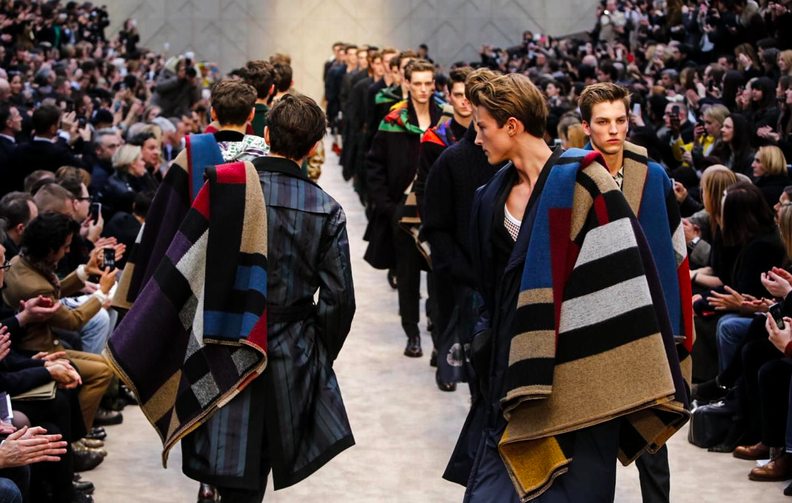 His vision for Burberry was inclusion. It was to eliminate the side of luxury that bows at the feet of the elite, but instead grounds the brand in the idea of being attainable yet marked with the same stamp of luxury. 2014, Bailey was promoted to chief creative officer and CEO – making him the first designer to hold both positions at a publicly traded company related to fashion. Bailey will continue to support chief executive officer Marco Gobbetti and his team until the end of 2018. It was announced that previous creative director of Givenchy, Riccardo Tisci would be taking over from Bailey as Creative Director. 17 February 2018. The past 40 years of British culture were celebrated in Bailey’s last collection for the British brand. A mixture of the new and old logo was seen, long ball-esque skirts, lace- up trainers, puffer jackets and tulle. 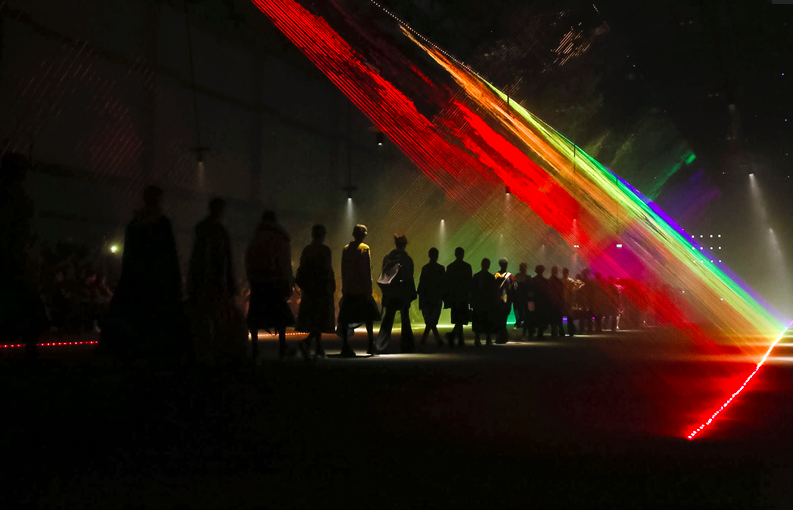 Later in the show, the light display ‘Our Time’ provided by United Visual Art switched to a sea of rainbow colours. 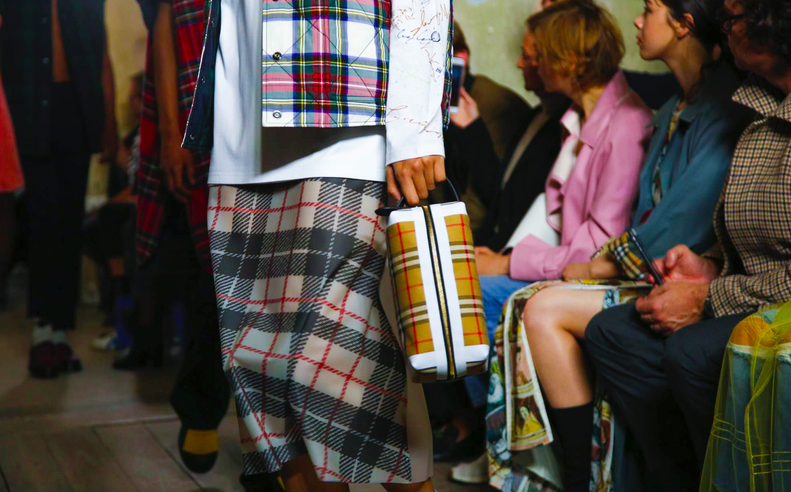 The classic check was infused with multi colours on an array of trenches, shirts and overcoats in honour of the LGBTQ+ community. Three considerable donations were made that evening to ‘The Trevor Project’, ‘ILGA’ and ‘Albert Kennedy Trust’ in honour. 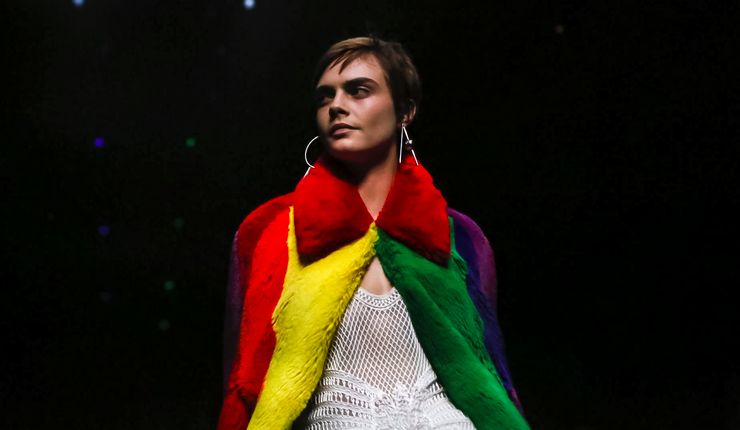 Cara Delevingne brought the show to a close in a faux-fur rainbow-striped floor length cape. Bailey walked out to his final audience who rose to their feet with admiration and gratitude, applauding the Yorkshire hero. 17 years on, the designer created a legacy hard to follow. Bailey made Burberry the fabric of British culture.